Piedras Mundiales, The Stone Center is a family-owned and operated importer and manufacturer of natural stone for the commercial and residential markets. Started in the year 2000, the company is the work and life’s passion of owner, David Narvaez and his son Oscar. The company imports a great variety of traditional and specialty natural stone: Granite, Marble, Travertine, Onyx, Quartzite, Quartz, Soapstone, Limestones, Semi-Precious Stone. Piedras Mundiales, The Stone Center newly opened showroom is located at 4630 Doniphan Dr. On El Paso’s west side in an amazing place where the imagination can run wild with building and design ideas. Architects, Designers and residential customers alike are sure to receive exceptional service – which has become the company’s trademark. Call, visit or tour our website and we are certain you will be inspired to bring your dream of creating a stunning environment that is uniquely yours to life. 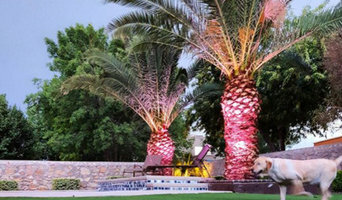 Stone Masters is a family owned business serving the Las Cruces, Mesilla Valley and the surrounding community area for 20 years. Everything from new construction and complete kitchen and bath remodels, and outdoor kitchens – we’ve got your covered on the design, unique materials, fabrication and expert installation. We have the largest selection of natural stone slabs to choose from, and we carry several lines of quality quartz products. We have 4 beautiful semi-custom cabinet lines to choose from, all the cabinet hardware you need, stainless and granite composite sinks, designer plumbing fixtures, and more. We offer backsplash tile, and custom closet systems that will transform the way you organize your life. Let our Stone Masters Design Team help you create your Dream Kitchen or update your Master, Guest or Powder Bath. Our seasoned fabrication team and experienced installers will make the process easy for you – the way it should be. Visit our showroom at 300 N. Archuleta Road, in Las Cruces for a free estimate on your kitchen and bath remodeling needs. 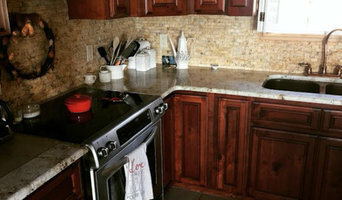 CUSTOM CABINETRY AND COUNTERTOP INSTALLATION IN EL PASO, TX Are you looking for ways to: increase property value, improve the look and feel of your home and increase functionality? Partner with EKB Construction, LLC. Updating your cabinetry and countertops in your kitchen or bath are a great way to achieve all three in a fairly easy and affordable way. Avoid spending a fortune on an entire home remodel. You’d be surprised how different your home will look and feel after updating your cabinets or countertops. Founded in 2004, when our founder tried to get a granite countertop at a reasonable price and couldn't find a reliable business. 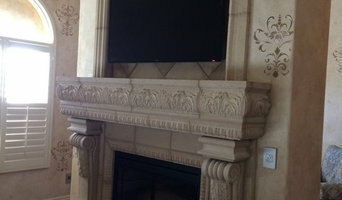 EKB focuses fabricating granite, marble, quartz, travertine countertops, vanities, fireplaces, backsplashes, etc. Our newest addition is design, making and installation of a modern frameless kitchen and bathroom cabinets. EKB Construction is equipped with the latest and most sophisticated machinery to turn your dream kitchen into a reality. When you give EKB Construction, LLC a call we will discuss the ideas you have for your upcoming project. After that, we will set up a time for our installation experts to come to your home to take measurements. Choose from custom cabinetry, including frameless, options or countertops and backsplashes in: granite, marble, limestone, onyx and travertine. We will then provide you with a competitive free quote before scheduling a time to get started! Contact EKB Construction, LLC, El Paso’s premier countertop and cabinet solutions expert, today to update your home. Professional Tile and Flooring installation on floors and walls, exterior and interior. Affordable price on labor and contractors price available. 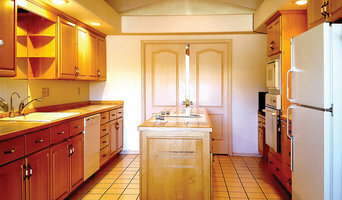 Based out of El Paso, Magic Stone is a countertop specialist. They offer countertop refinishing and granite countertops as well as other services. Magic Stone is accredited by the BBB. Fabrication and installation of Granite contertops for Kitchen, baths, etc. and installation of Tile flooring. SouthWest StoneWorks specializes in affordable and expedited granite and countertop installation without compromising the quality. No matter what granite installation needs you may have, SouthWest StoneWorks is the right business for you! Dedicated to excellence and service, SouthWest StoneWorks will work side by side with you to get your job done exactly the way you dreamed of! 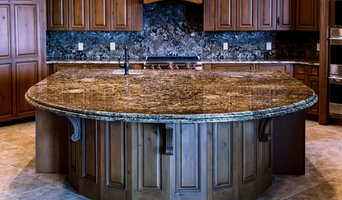 Sun City Granite specializes in the following services: Granite, Marble, and Quartz countertops fabricators. With more then 10 year experience proudly serving all west Texas and Southern New Mexico. I focus on attention to detail. Im a perfectionist in my field I do high quality work. I have very satisfied customers with my jobs. In addition to basic surfaces, many Sparks, TX tile, stone and countertop contractors can create and install murals and mosaics, as well as add decorative edge treatments to countertops. They also repair or replace surfaces in the event of chips, cracks, stains or other damage. Many tile, stone and countertop professionals also install shower pans, radiant-heat flooring systems and other common components of surfacing jobs, often working in tandem with Sparks, TX plumbers or other professionals. Here are some related professionals and vendors to complement the work of tile, stone & countertops: Interior Designers & Decorators, Architects & Building Designers, General Contractors, Kitchen & Bath Designers, Design-Build Firms. Find a tile, stone and countertop contractor on Houzz. Narrow your search in the Professionals section of the website to Sparks, TX tile, stone and countertops. You can also look through Sparks, TX photos to find tile, stone and countertop projects you like, then contact the contractor who worked on it.